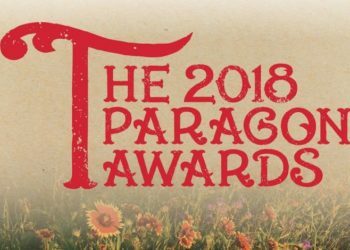 So say the folks in the San Bernardino and Riverside County hospitality and tourism industry, where phenomenal growth is leading residents to secure in-demand workforce skills from local community colleges. Tourism and hospitality is just one of many employment sectors in which the 12 community colleges in the Inland Empire and Desert regions are preparing middle-skill employees to fill jobs that would otherwise go wanting. 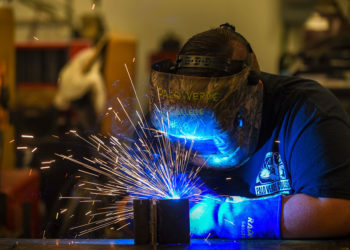 Twenty career education programs at Chaffey College, for example, were honored by the California Community Colleges Chancellor’s Office for their effectiveness in helping students find good jobs and boost their pay. 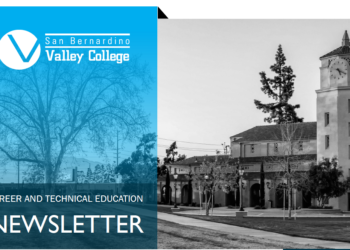 San Bernardino Valley College was honored for career education programs ranging from Nursing to Water Supply Engineering. College of the Desert, along with Chaffey, Crafton Hills, Riverside City, Norco, and San Bernardino Valley colleges, offer award-winning programs in Retail Management. 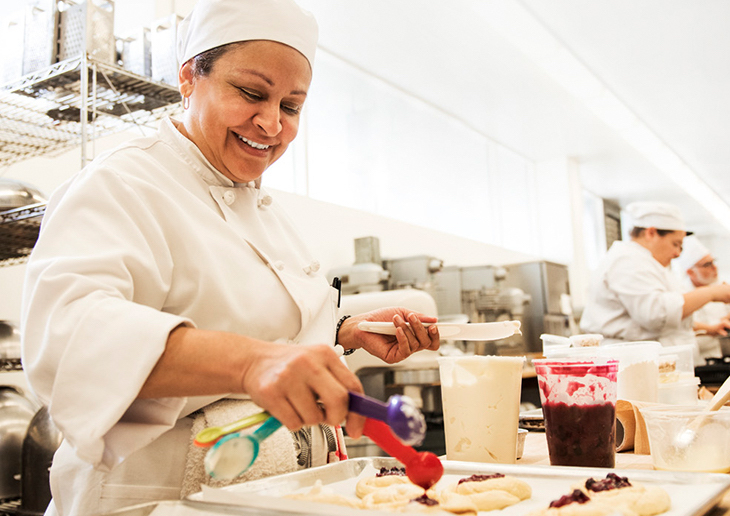 Meanwhile, College of the Desert, Chaffey, Copper Mountain, Riverside City, San Bernardino Valley, and College of the Desert, all offer programs in Culinary Arts. Good thing. Culinary Arts is feeding the hospitality and tourism industry. Some 6,264 people are employed in the hospitality and tourism industry in Palm Desert alone, with just shy of 10,000 people employed in the retail and restaurant sector, according to a 2018 economic strategic plan for the desert city. Regionwide, more than 17,000 people were working as first-line supervisors of retail sales workers in 2015, with wages ranging upward to nearly $27 per hour – or more than $56,000 annually. In San Bernardino County, visitor spending totaled $4.7 billion in 2016, which represented a 52 percent growth since 2002, according to a 2017 San Bernardino County Community Indicators Report. Employment in the county’s tourism industry has grown steadily in recent years, reaching 54,400 jobs in 2016. With a growth rate of more than 15 percent, leisure and hospitality has been one of the fastest growing employment groups in the two-county region during the 10-year period ending in 2016. Seventeen new hotels were set to open from the latter half of 2017 through the summer of 2019, according industry experts CBRE Hotels. And with unemployment falling to near-record level lows, wages have been rising by an average of more than 7 percent for the past five years. Lodging managers in Riverside and San Bernardino counties are earning an average wage of nearly $76,000 per year, according to the Bureau of Labor Statistics, with meeting, convention and event planners earning an annual average wage of more than $51,000, and hotel, motel and resort desk clerks earning an annual average wage of approximately $27,000 per year. Hotel occupancy rates remain high, prompting record sale prices for sought-after properties. Hyatt Place in downtown Riverside, for example, sold for $24.5 million in March of 2017 – or $196,000 per room, and the Hilton Garden Inn in San Bernardino sold for $21.5 million the following month – or $187,000 per room. Food service managers, meanwhile, are earning an average annual salary of nearly $50,000 in the two-county region and more than $54,000 statewide. Chefs and head cooks are earning up to $35.66 per hour or more, and first-line supervisors of retail workers are earning up to $26.87 or more per hour. Learn more about how Career Education at your community college can help you gain the necessary skills to land your next well-paying job and launch your successful career. ReadySetCareer.org.